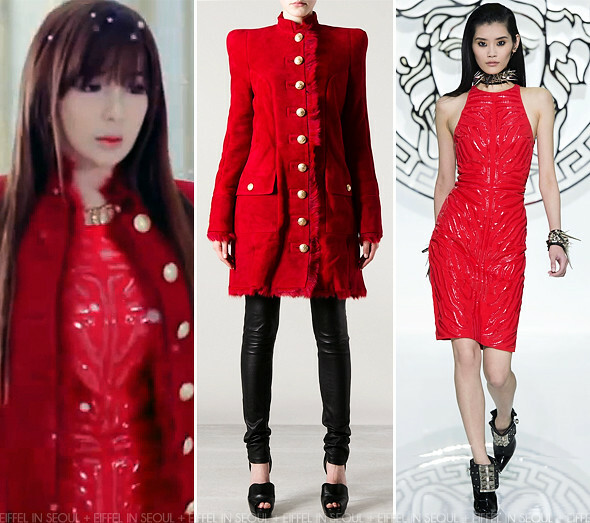 Park Bom (박봄) wore a red leather zebra-printed dress and boots from Versace Fall/Winter 2013 collection. She completed her look with a red fur trimmed military coat from Balmain. What do you think of her all red outfit?